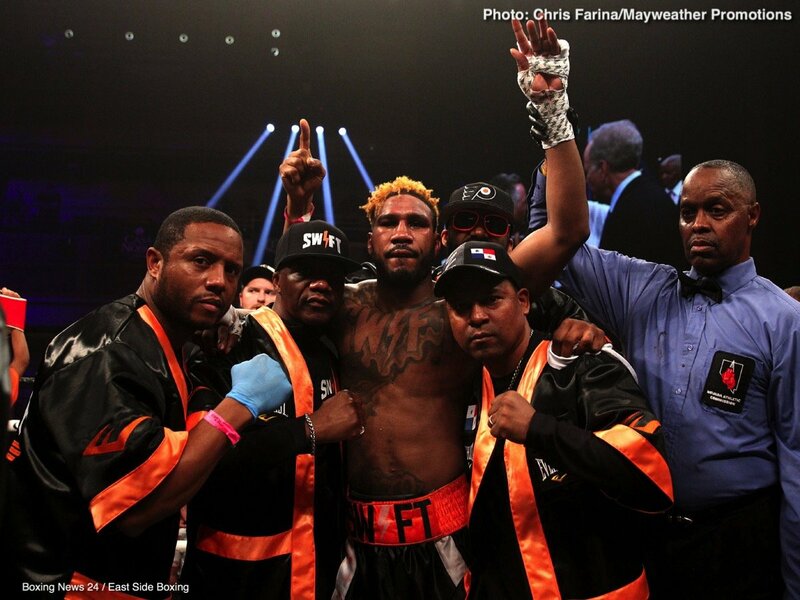 The International Boxing Hall of Fame announced today IBF / WBA / IBO super welterweight champion “Swift” Jarrett Hurd will be in Canastota to attend festivities planned for the 2018 Hall of Fame Induction Weekend June 7-10th. A native of Accokeek, Maryland, Hurd compiled a 32-8 amateur record before turning pro in 2012. In February 2017, “Swift” scored a 9th round TKO over Tony Harrison for the vacant IBF super welterweight title and successfully defended against former champion Austin Trout that October. In his most recent contest, Hurd added the WBA and IBO titles to his resume with a thrilling 12-round split decision over Erislandy Lara on April 7th in a bout televised live on SHOWTIME. The 6’1” champion is undefeated at 22-0 (15 KOs). The Class of 2018 includes boxers Vitali Klitschko, Erik Morales, Winky Wright and Sid Terris; ring announcer Johnny Addie, promoters Lorraine Chargin and Klaus-Peter Kohl and broadcasters Steve Albert and Jim Gray. An impressive list of over 35 boxing greats from the United States and abroad are scheduled to participate in weekend festivities including Mike Tyson, Miguel Cotto, Marco Antonio Barrera, Kelly Pavlik, Antonio Tarver, James Toney, Micky Ward, Sergio Martinez, Leon and Michael Spinks, Gerry Cooney, Christy Martin and many more. The grand marshal of the Hall of Fame Weekend Parade of Champions is Arizona Cardinals wide receiver and 11-time Pro Bowl Selection Larry Fitzgerald. For more information on the Hall of Fame’s 2018 Hall of Fame Induction Weekend, please call the Hall of Fame at (315) 697-7095, visit online at www.ibhof.com, on Facebook at www.facebook.com/InternationalBoxingHallofFame and on Twitter at www.twitter.com/BoxingHall.